Hydroplane racing will return to SeaTac’s Angle Lake the weekend of Sept. 9-10, as the second annual Frank Hanson Memorial Regatta will take place! Interest in hydroplane racing may be waning in Seattle, however just up the hill from the national Hydroplane and Raceboat Museum in SeaTac, excitement toward the sport of hydroplane racing is starting to take off! Seattle Outboard Association (SOA), an organization founded in 1929, is bringing back the American Power Boat Association (APBA) hydroplanes, runabouts, and tunnel boats to Angle Lake September 9th and 10th for the second annual Frank Hansen Memorial Regatta! Just like last year, there will be two full days of boat racing excitement on the East-West leg of the lake. Spectators will again be welcome into the Race Pits** to see the boats up close and meet the racers with their crew. What is new for this year? Well for starters, besides being a Modified Western Divisional location, Angle Lake is now the fourth stop in a series of five races where drivers are awarded and accumulate points based on their wins. The driver with the most points at the completion of specified races at the five selected locations in the series is presented the coveted ‘Babcock Trophy’ which is one of the most prestigious honors a racer can receive. Portions of the East-West leg of the lake will still be off limits for public access; however the restrictive boundary lines are expected to take up less area. There are plans this year to string together several of the new ALSC Barges to form a ‘log boom’ on the eastern straightaway allowing boats to anchor up to and spectators to assemble their tables and chairs from to watch the race action up close! But wait that’s not all! One of the most consistently voiced comments heard after the race last year was that the announcements from the tower could not clearly be heard around the lake. We now have a solution for that. Twenty-four year resident, President of the Mark Eleven Condominium Association and longtime broadcast authority, Allan Freedman is generously donating his time, lending his subject matter expertise and equipment to enable low power FM transmission of the tower communications! 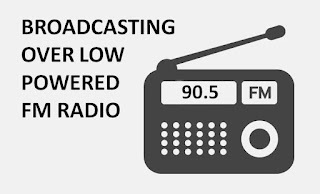 Spectators and race enthusiasts from around the lake will be able to tune into FM 90.5 on Saturday and Sunday to hear all the race coverage broadcast from the tower! Special appreciation goes to our neighbors Allan Freedman, Bob and Chris Simmons for their contributions in helping to deliver this capability. If you’d like to know about the boats, races and drivers, please download a courtesy copy of ‘Hydro Basics’ authored by John M. Adams. John built his first outboard hydroplane at age 16 and actively raced for over 20 years in Region 10 with the Seattle Outboard Association. He is currently a retired driver and helps as a crew member of Adams Racing. ** Entry into the race pits is restricted to spectators who have signed a waiver and are wearing close toed footwear. Why is there no actual schedule as part of this? You know like the times? The Seattle Outboard Association has posted a schedule of races on their facebook page – no specific times listed beyond 11am until 6pm. PLEASE NOTE: Parking at the park is EXTREMELY limited. It is advised that you park offsite and ride the Metro Rapid Ride ‘A Line’ to the park or park at the Angle Lake light rail station and walk the few blocks over. Rapid Ride A Line is still an option but it also looks like they’ve secured parking next door at the Alaska Airlines Corporate Offices as well! I don’t know the answer to you ‘why?’ but in regards to your ‘when?’ the races are from 11 am to 6 pm both Saturday and Sunday 9/9 & 9/10/17. Hope you and many others are able to enjoy this event.